Ngangbam Soniya Chanu is an Indian Woman Weightlifter who won the silver medal in the Women's 48 kg category at the 2010 Commonwealth Games. She won the Gold medal at the 2009 and 2010 Commonwealth Weightlifting Championship in Malaysia. 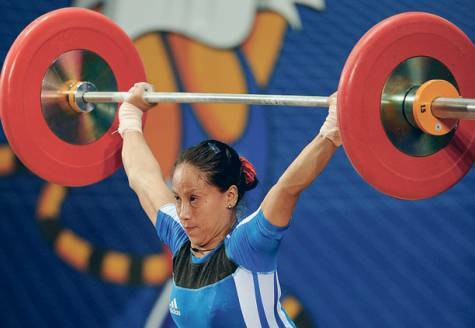 She was selected by Indian Weightlifting Federation after she earned a quota for herself in the London Olympics 2012. She won the bronze at the 2012 Senior Asian Championships at Pyeongtaek, South Korea. She has been recommended for the 2012 Arjuna Award for outstanding achievement in National sports.